This topic contains 14 replies, has 7 voices, and was last updated by Miamicuse 10 months, 3 weeks ago. Down here in South Florida many residential homes built in the 1960s through 1980s are metal boxes with EMT conduits. If I work on any of those half the time I run into through wall junction boxes. Those are typically 3.5″ deep double sided dual facing metal junction boxes placed on interior walls intended to have receptacles at the same spot in two areas. The entire box is the same depth as a 2X4, then metal mud rings were mounted on each side to account for the sheet rock or lath/plaster depth. It’s a pain to try and bond a grounding conductor to these metal boxes. There isn’t a good place for a clip because the metal mud rings are curved and restricted the opening close to the devices. There isn’t a place to tap a 10-32 hole for a ground screw because there isn’t a backing surface. It’s a hit and miss if you try to tap a hole on the side at an angle. I have seen some knock nut with a bonded ground screw but those are more trouble in an existing installation. The easiest way is to just use self grounding devices. However I prefer an explicit direct bond if possible. Anyone know of a good workaround? 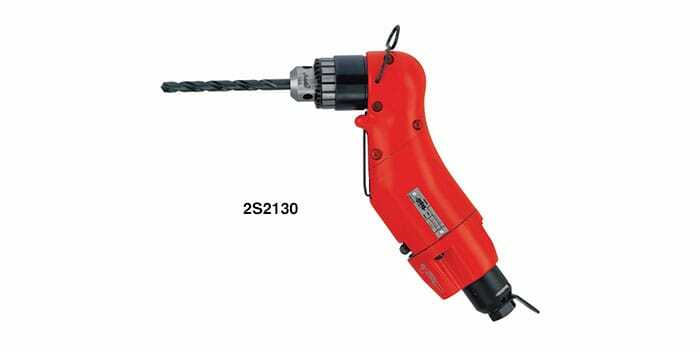 Try using a right angle/ flexible drill attachment? There isn’t room for it. A single gang mud ring is barely wider than a decora decice, may be 1.5″. It’s an existing installation so there are existing conductors, wire nuts inside. I don’t know of any right angle drill attachment that would be low profile enough to fit the front part through 1.5″. I second jponto07’s suggestion. Pull the mudrings both sides, remove the switches/receptacles and fold wires out of the way. The specialized right angle drill I use for this type of work is a Makita DA3010F, which has the unique characteristic of the chuck itself being fully incorporated into the right angle head, instead most right angle drills where the chuck is an additional appurtenance to the right angle drive mechanism. I’ve had mine at least 15 years, so it is corded, not cordless. 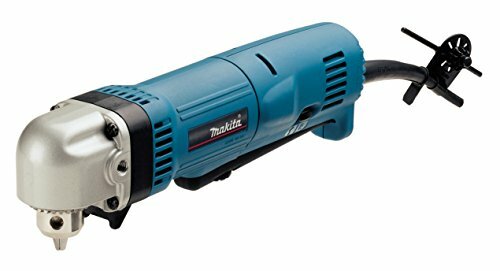 Makita now makes an 18v cordless model with the similar incorporated chuck/drive head. I bought my original corded one the very second it was introduced by Makita, immediately recognizing how this fully enveloped chuck affords another 1.5″ of clearance in close quarters. 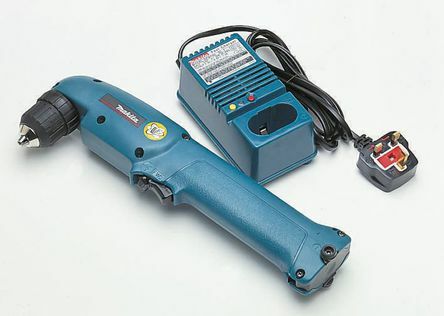 For cordless, I have different Makita (DA391D) that I bought maybe 25 years ago. You can immediately tell by the photo why this one isn’t good enough, and it has nothing to do with the much older obsolete battery. 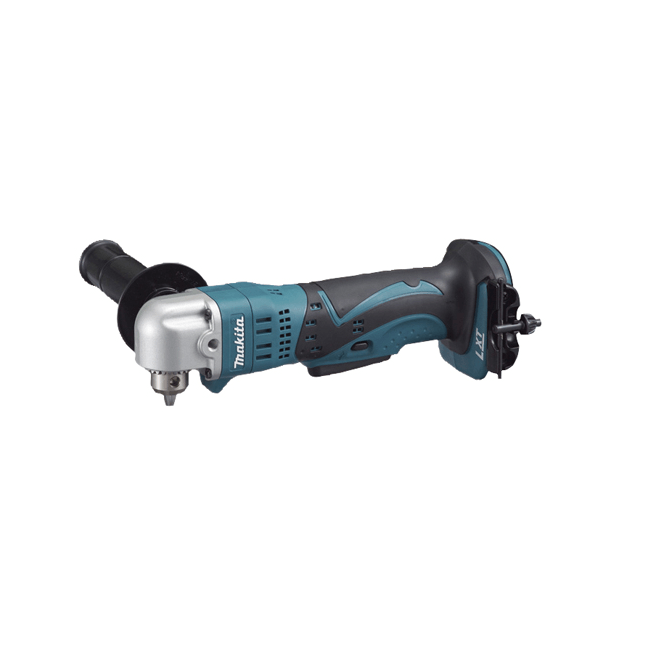 The combined depth of the right angle head, plus the keyless chuck, plus whatever drill bit or combination of self tapping ground screw plus driver socket may be… would exceed the width of a double gang box. This is why I jumped on the corded Makita with the incorporated chuck. We cross posted. I had assumed double gang boxes. While hunting down all the photos above for you to see, you posted that you have a single gang box. This isn’t a problem at all. Kill and lockout tag the circuit. Remove the mudrings and the switches/receptacles on both sides. Accept that this will involve very some minor plaster/drywall mud repair. With all the wire nuts undone, pull out and straighten out all the wires in the box out and out of the way. A single gang metal box will have a center hole punch out and conduit nut. And there will only be one such punch out on the short (horizontal) ends of a single gang box that has no back nor front sides. That leaves plenty of metal meat in all four corners of the bottom surface of that box into which you can thread a bonding screw… or two bonding screws, on in each corner, for that matter. Since you are drilling down, rather than sideways, the head clearance doubles along the vertical axis of the box. Mission accomplished. Just be glad you don’t have the inspector that used to be the chief electrical inspector in one of the cities I work in. Back in the 70’s, he required that all bare bonding wires be crimped outside of the box, in the wall. You can imagine what a pain that is to simply change a fan switch to meet the new code for self timed cut offs. Much more drywall work than what you would be facing. @cb edit –sorry missed it in your post never mind…..
Never seen that kind of box. While a material and time saver initially, sounds like for doing repairs or receticle swap outs it’s a PITA. Can you just cut off the existing ground wire near the recepticle leaving it connected to the box and marret off of it for the ground for the new one? CB, thanks for the suggestions. The problem is I don’t think it’s worth the trouble to remove the mud ring simply to gain access for bonding a ground screw. For some reasons I am seeing more of these boxes recently as I run into more and more work done in these 60s, 70s, 80s houses. So far my approach is if I can find a way to bond it easily (an extra few minutes) I would attempt it. If not then self grounding devices. The actual box I run into varies. Rarely it’s through wall double gang boxes (but I have seen those), most of the time it’s single gang box, could be a dual facing switch box in which case I can use a clip since I can usually find an edge so not a problem. It’s those dual facing single gang box with a mud ring that’s troublesome. It is quite a bit more work to free up the mud ring. Sometimes it’s sheetrock, a lot of time it’s 1.5″ thick rock lath plaster, occasionally wood paneling, even tiled. The problem is I don’t think it’s worth the trouble to remove the mud ring simply to gain more access for bonding a ground screw. The actual box I run into varies. Rarely it’s through wall double gang boxes (but I have seen those), most of the time it’s single gang box, could be a dual facing switch box in which case I can use a clip since I can usually find or work free an edge so not a problem. It’s those dual facing single gang box with mud rings that’s troublesome. There is no existing ground wire in the box usually. These are EMT conduit and metal boxes, so the conduits act as EGC without the need for ground conductors. The devices should be bonded via the boxes (but often they are not). Now if there is another box near by which is not one of the dual facing boxes, and the conduit is not over filled I will open that box and add a ground screw there and feed a conductor through to the dual facing box. I do like EMT installations when it’s done right. But if they have been hacked over the years then anything can happen. Some houses have EMTs and metal boxes but the continuity back to the panel were disconnected once they made “improvements”. I might try this one to see if it’s low profile enough next time I run into these situations again. Just get a long drill bit…the more I think about this, the less I think you actually need the right angle drill or right angle attachment. The bit is the only part that will be going inside the box, so get a 12″ drill bit and call it a day. I wonder what the electricians do in this case? When you’re done fooling around with drilling and taps, just replace the locknut for the EMT adapter with one that has a ground screw in it. Yes I have those. I mentioned in the first post but they are not always practical. If you have another connector next to it you have to remove that lock nut in order for the lock nut to spin 360 degrees. That is if you can even replace the lock nut in the first place, if you have any pass through conductors you have to cut those and rarely will you have enough slack to make a good splice. Or if by adding splices you end up exceeding fill capacity.